I was anticipating a fun-filled weekend when suddenly it happened – an unexpected knee injury sidelined me for three days. Disgusted, I reshuffled priorities, bowed out of commitments, canceled appointments, and prayed for healing even as I practiced the RICE (rest, ice, compression, elevation) method in hopes of accelerating my recovery. Just when I thought I couldn’t feel any worse, I received a disturbing phone call where I learned that a friend of a friend had taken her own life. I was jolted out of my self-pity party and plunged into a different type of despair. I think many of us have had moments where life felt so burdensome that escaping temporary troubles with a permanent solution seemed like a feasible option. We considered giving up and surrendering to defeat. Our highest hopes, best-laid plans, or greatest expectations went into a sudden downward spiral, wrecking our hearts, troubling our minds, and shattering our dreams in the process. In other words, our Plan A was ruined. 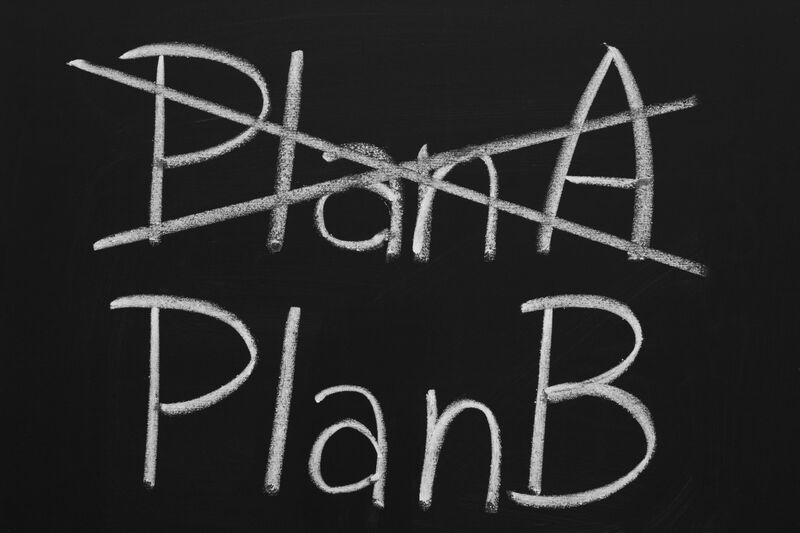 When your Plan A fails, rejoice because God’s Plan “Be” is springing into action! IMPORTANT: If you are struggling with suicidal thoughts, know that I am praying for you! Please click here to connect with local crisis resources for your country.